The 12th South Asian Games Table Tennis Championships 2016 will be conducted at Jawahalal Nehru Sports Complex, Indoor Hall, Shillong India from 6 to 10 February. Sri Lanka Men's team comprise: Udaya Ranasinghe, Rohan Sirisena (captain), Nirmala Jayasinghe, Chameera Ginige, Prasad de Silva, Dishantha Tennekoon (standby). Sri Lanka Women's team: Ishara Madurai (captain), Ruvini Kannangara, Erandi Warusawithana, Hansani Piumila, Chamathsara Fernando, Imasha de Silva (standby). Former Sri Lanka player and five times national champion Jothipala Samaraweera has been appointed the coach and Cmdr. Anil Bowatte the manager. 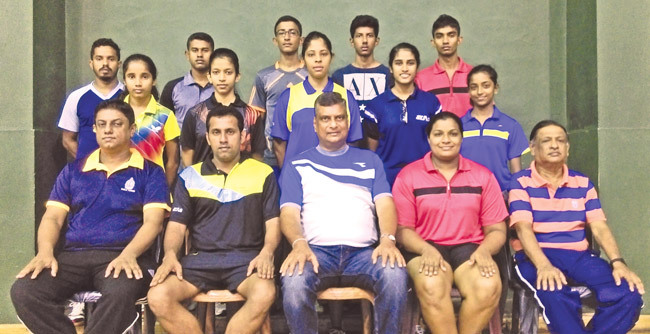 The selected teams comprise the best paddlers in the country and includes five National champions namely Rohan Sirisena, Udaya Ranasinghe, Nirmala Jayasinghe in the Men's and Ishara Madurangi and Erandi Warusavithana in the Women's categories. "India are hot favourites to win the gold in all categories such as Men's singles, Men's Doubles, Mixed Doubles, Team event, Women's singles, Women's Double's and Team events but Sri Lanka are capable of creating a surprise by winning a few gold medals as the teams are in good form and shape to face an international event of this nature," said Sri Lanka Table Tennis Association president Rajiva Wijetunge. The TTASL along with the Sport Ministry and NOC has worked very hard in order to prepare the players for this major South Asian event well in advance," he said.